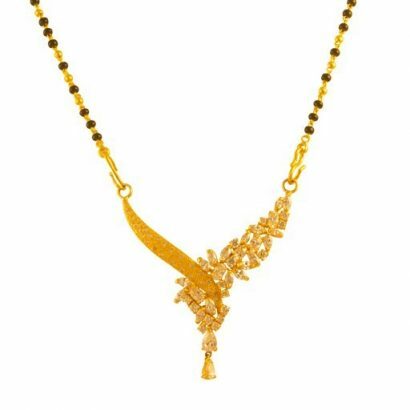 A simple and elegant wedding necklace which marries the splendour of nature with tradition. 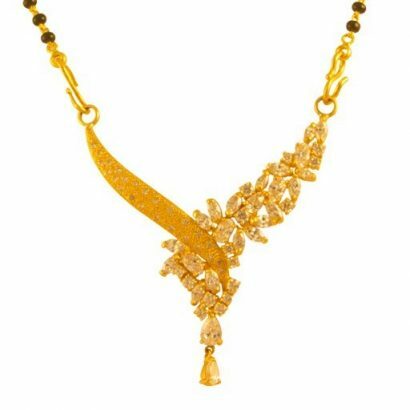 The 22 karat flowing band of gold merges with sparkling white stones mounted in floral magnificence. 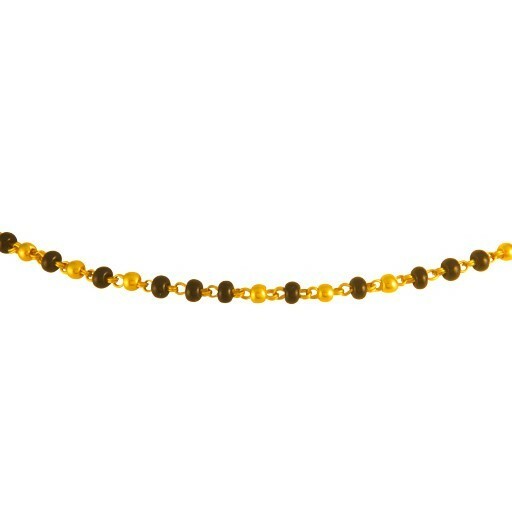 The gold and white of the piece is contrasted with the black beads that adorn the chain. A truly magnificent piece.